I currently have a Valencia V160 as my accoustic violin and I have been learning violin for about 7 months now. I want to upgrade and buy a new violin that would last me 4 years maybe. Do you all think it's necessary to upgrade the violin now? 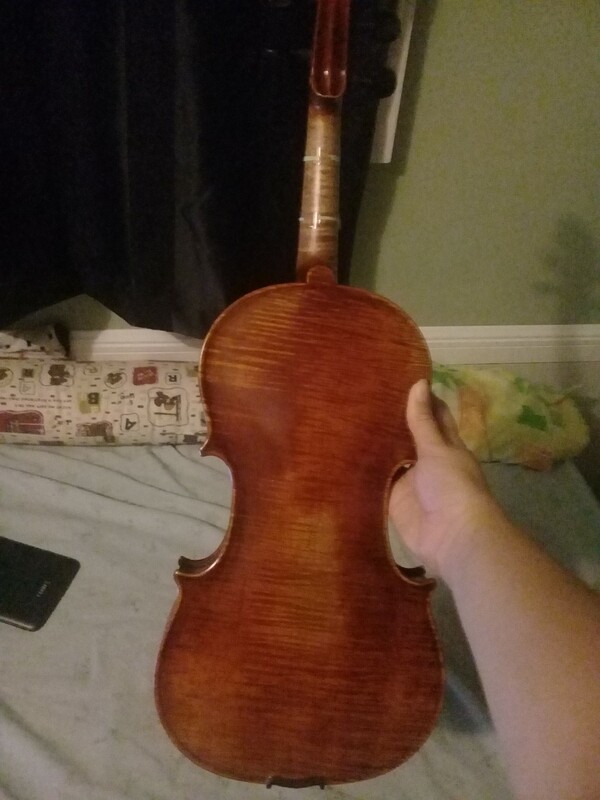 Also do you all have any suggestions as to what violin I could upgrade to? I do have a price restriction of around $500-600 for both violin and outfit. Do not practice until you get it right, practice until you can't get it wrong. Just to repeat what Charles said: "The problem with cheap violins is that they're in fact very expensive" and I can attest to that since so far I spent more on new strings, bows and accessories (like wooden tuning pegs to replace the plastic ones and new bridges to carve) than what the entire violin outfit cost at the beginning. That's why I'm kinda suggesting to lean towards something like the Master, since you don't have to bother to replace stuff afterwards. 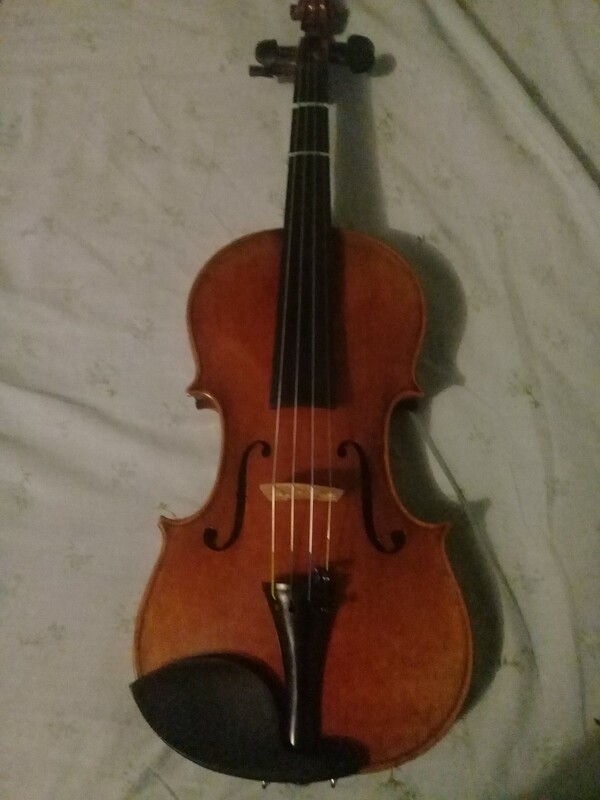 That Stagg outfit cost me like $115 and now it's more like $300 after the upgrades.. for $300 I could've gotten a much better violin..
Hope this helps, even though I'm not that experienced with violins as some other people around here. In your price point, I would look at the Fiddlerman Artist violin (https://fiddlershop.com/fiddlerman-artist-violin.html?sort=p.price&order=ASC) ... there is a Scott Cao in the same price range, but not sure how it compares. Although the Master is a tad over your budget, you will not regret it. 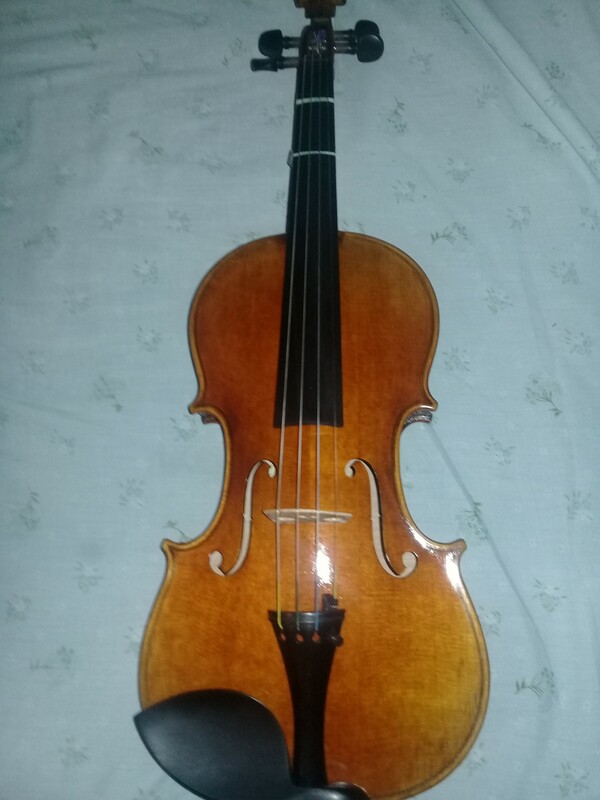 I brought it 3 months ago as my first violin and am more then pleased. It will last me more then a few years before needing to be upgraded. I'd say if you're locked into the $500-600 range go with the Fiddlerman Artist! 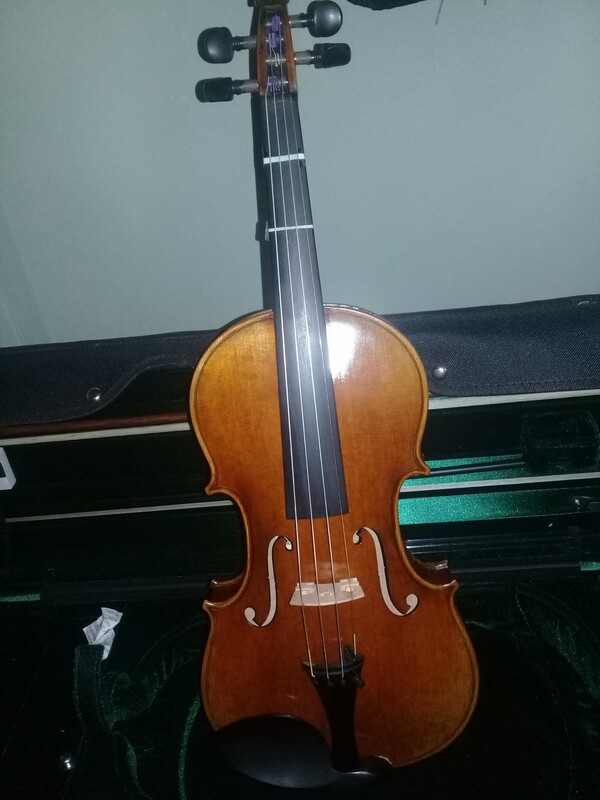 Not only does Fiddlerman set up his violins wonderfully well, it also comes with pretty much everything you could need as a beginner, including a bow and a shoulder rest for that price. I agree that the master seems to be the "sweet spot" for a long term beginner/intermediate violin however go with what you can afford! Edit: Also, If you feel you want an upgrade then upgrade now! I know when i had my first violin I did an upgrade when I was playing and i felt like I was missing something or reaching for something i couldn't get...If that makes sense. But for my understanding of the violin you have an upgrade may make a huge difference in playability too, which also makes it much easier to learn and to play. I'd say go for the upgrade! I don't know anything about the Valencia, except what I can guess from it's price (about 100 euros, from most things I've seen). That says it's near the bottom. If it qualifies as a cheap violin instead of a violin-shaped object, you did good. If it's driving you mad, making you consider giving up, or anything else drastic if you don't get away from it in the next few weeks, then upgrade, even if it's not the ideal instrument. If it's bearable, then it becomes a question of what violins you like and how much money you can put away each week/month/whatever. I personally like the Master a lot better than the Artist, considerably more so than the price difference between the two. I also can save up money fairly fast, so it wouldn't be that long a wait for me to get the Master instead. You might not share my opinion of the the two, though. I'd recommend going to Youtube, and searching for "fiddlershop Artist" and "fiddlershop Master", and decide for yourself. (And the same advice for anything else you're considering.) You might also want to check out the Concert. That will give you a steady gradation in price, and you can decide how much each one is worth to you. I do strongly advise you set aside a certain amount of money each month for violin-related stuff. You're going to need replacement strings, replacement hair (or even a new bow if rehairing is too expensive where you are), music... It's not a hobby you can spend money once on, and never have to spend any again. On the other hand, it's seldom an emergency "got to get this RIGHT NOW" sort of thing, so if money is tight, it doesn't have to be a lot. If you do that, you just wait until the violin money is more than whatever you currently want/need, then get it. If you decide that you can bear the pain of playing the current instrument for long enough, and you prefer the Master, then save up for and get it when you can. I'll have to disagree with Lindsey on getting an upgrade as soon as possible. If you want to not be buying another one for 3-4 years, the better the instrument is, the better for that situation. I notice your profile says you want to make some money with it. If you're improving steadily, you'll probably be ready for that in 1-2 years (depends on talent, how much you practice everyday, etc.) That means you'll be playing this potential upgrade for at least a year or two, and possibly as much as 3 years, and trying to make money at it. You don't want your violin to be limiting you in that situation. I'm not saying you should get the Master instead of the Artist (or anything else). Only you can decide which one you like. I would suggest you try to find a way to get the one you do think best of, provided you can stand the wait if it will require one. One last thing to consider. Fiddlerman does take tradeins, and they give the highest percentage of original cost to their own instruments (the Fiddlerman and Holstein ones). So if you can save up money, getting something like the Concert or the Artist now, and then switching to the Master (or even something better) in a couple of years might be a viable way to do things. Yea, I agree with Charles.. In fact I often find myself questioning the very existence of 'beginner' or 'student' violins.. Sure, it might be good for the first 2 weeks to learn some standard bowing on, but that's about how far you can get away without it limiting you in some way.. Even if you don't realize it and you think you're not that good yet.. it IS limiting you in many ways. For example.. when I placed the order for my Stagg violin in September, I had absolutely no idea about violins and what I'm buying... I just wanted to learn a new instrument and got the 'sudden urge' to go for the violin so I saw one that was at a discount and ordered it.. When it arrived, even though I never actually held a violin in my hand.. I instantly knew that I just purchased a pile of 'garbage' masquerading as a violin.. 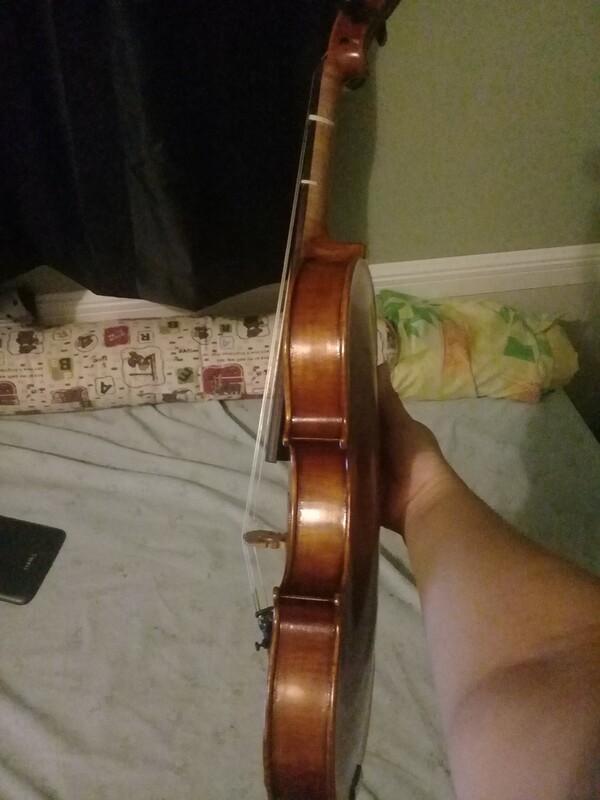 I kind of feel like the beginner violin industry is rather built on deceiving beginners and making a quick buck than actually providing them with less expensive properly functioning violins.. If I compare it to guitars for example.. where usually even the cheap student instruments are 'decent'.., strings aren't that high-profile and don't cost a fortune.. 20 bucks and you can get some premium strings.. all 6 of them.. twice the length as violins haha.. and picks cost like a dime.. I helped a few friends buy their cheap beginner guitars in the past.. and the ones we tried at shops were usually fairly decent, even at the lowest price point.. the really cheap ones had a slightly higher action to 'prevent buzz', but all in all they were perfect for properly learning the guitar and I could play them fine, without being hindered too much by them..
With violins it's a completely different story.. If I would've handed my Stagg over to Pierre in the condition it arrived.. he would've probably started laughing or used it as a prop for the next video where a violin has to be smashed 😀 You really need that proper setup, regardless of how cheap the violin is even if it's just made out of plywood.. heck even plastic (sounds like a crime just by thinking of it lol)... But the setup is what really matters for learning.. the fingerboard.. the bridge.. the strings and that you have a decent bow.. Strangely enough.. THESE are the exact things that manufacturers of cheap instruments decide to skip defeating the very purpose of their 'student' violins.. I mean we could worry about the tone and age of the wood as well as flamed backs in the future, but what kind of student would want to learn when their bridge is just rubbish and even if they learn the proper bowing plane.. the bow still touches another string? or if they can't be rewarded with a decent sound even when they do everything right? That's what kills motivation imo..
That's also the reason I really like Fiddlerman and Fiddlershop 🙂 They realize this and so far they're the only shop I saw who take this really important concept seriously enough, that they do a professional setup even for the cheapest instrument.. and thus creating the REAL student instruments. Now, if I want to compare the Artist and the Master.. based on the information I learned in the past month, here's my opinion. The Master, however is something completely different.. Even from the first glance, you can see that it has a well flamed one-piece back.. which is kind of rare. One-piece backs are common for very cheap instruments, since they can be machined (such is my Stagg if I look inside) on a production line and they don't have to bother with the center joint, which requires a lot of skill to make. However once-piece backs are not as common in higher-end violins as two-piece backs are (mainly because of the fact that if they get a large enough piece of wood with the proper qualities, they usually use those to make bigger instruments like cellos), so they are something of a 'nice to look at' thing and generally people seem to think they don't affect the tone in any way (good or bad) if the wood is good. Maybe Fiddlerman gets them from a workshop where they don't make cellos? haha 😀 In any case it looks and sounds beautiful. I would probably put this somewhere at the higher end of production violins, like special workshops where the more skilled people are selected and maybe 4-5 people work on these at most.. So to sum it up: Artist: decent wood / crafting + precise setup with mid-to-high quality fittings = The true version of what a high quality student instrument should feel / sound like. I ended up taking the fm master after all of your recommedations. I did have to ask my family to tip in for the missing $200. I'm so excited to get it now. I hope it's up to my expectations! I'll update you when I get it. @Tipiaowsek Oh congrats! His new video of the master had my jaw dropping a bit! I wished I started out with one that sounded that amazing at that price. 😀 I probably would be a lot further down the road of learning if I had! I can't wait to hear your impressions of it upon receiving it!!!! Awesome - sorry I missed seeing this thread until now - but trust me, you will not be disappointed! Congrats on a new fiddle, I do believe you will thoroughly enjoy it!! It makes me think about buying a second one ? Wow, it's been a long tie since I posted on here! I've been quite busy the last month as I am preparing to move to Germany in March. :) I'll finally be in a timezone nearer to you all. So I got my fm master near the end of December! It is truly a beautiful instrument. The finish makes it look antique, just like I wanted. When I first took it I thought it looked smaller for some reason and even the bow looked shorter but then I compared it to my one and it was the same size. I have no idea why I have that perception! Has this ever happened to anyone?? I took some time to adjust to the sound of my new instrument though. At first I didn't understand the sound of the violin. It felt strange. I think I have played with a cheap one for too long and knew of only that sound. I don't know how to describe the sound. My dad describes it as 'old'. I don't really know what that implies lol. After playing for some time I came to actually love the sound my new violin makes. The sound it makes when I try to do vibrato is just splendid. I took some time to adjust to how to play with it too. The bow was no problem, it was about the same weight as the one I had previously as I didn't need much adjustment. I did have some difficulty while playing. For some reason, at the start when I tried to play on the e-string no sound came from it, this was when I played from a specific angle. First I thought the bow wasn't rosined enough but no it was playing fine on other strings. I thought then than maybe I wasn't pressing hard enough but this happened when playing an open string too. After some time this problem disappeared I don't know how. 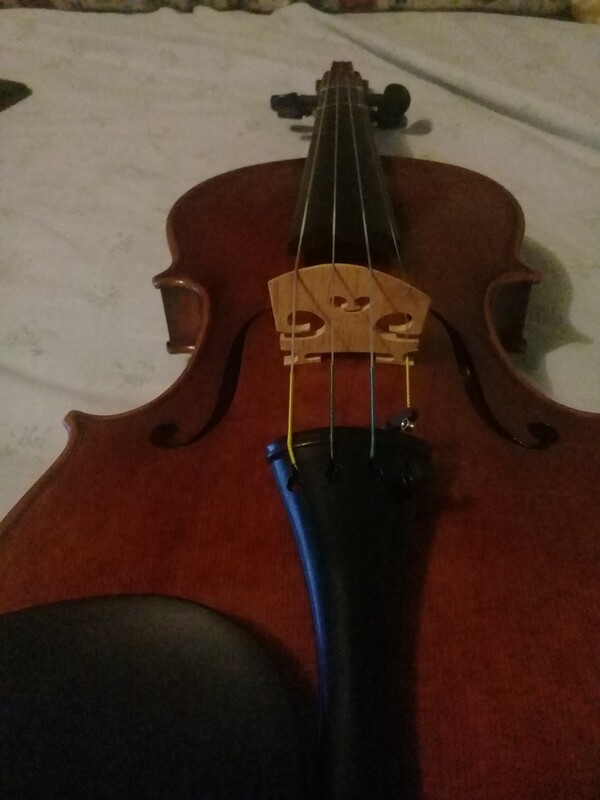 I had to adjust to the fingerboard too as I think my old violin had less space between the fingerboard and the strings I had to press a bit harder to play on my new violin. @Tipiaowsek - Thanks for the review. Very happy that you like it. It's true that it takes a while to get used to an instrument with a different feel. I imagine that you don't need to work so hard to get a sound out of it, right? I struggle with the "had to press harder" unless it means "not so very lightly". Violin strings don't need much pressure, it's enough if they're down and touch the fingerboard. I have to admit I need a certain minimum pressure to feel where I am but there shouldn't be force involved, not should force make anything better. Although, as I remember my early days I then also felt like pressure would help. It was a wrong idea, we feel and reason a lot which isn't really there. The quality depends on many factors at the same time and you easily come to wrong conclusions, especially during the first months. My violin is a 3/4 violin, made for right-handed players, though I play it left-handed. As I felt she was the best in the shop of all 3/4 violins I tried and the luthier agreed. I prefer Obligato strings together with Eudoxa E string.